Wave goodbye to the days of organizing your Anita Goodesign collections in spreadsheet format! 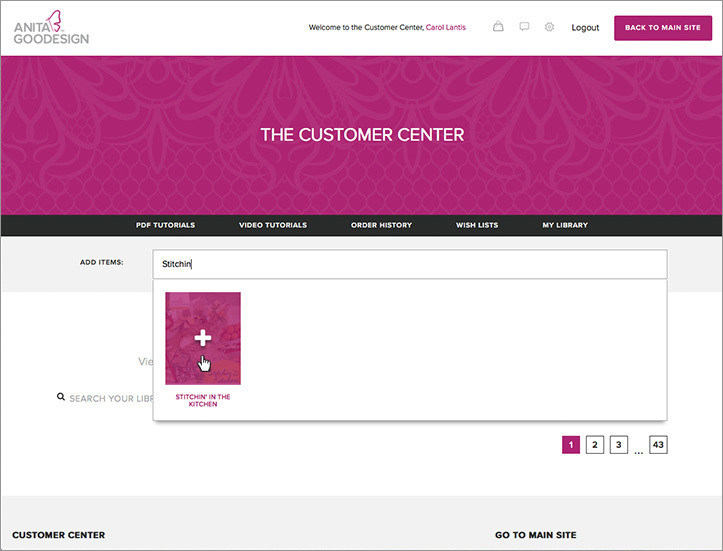 We have made this process much easier for you with our online Anita Goodesign Library. 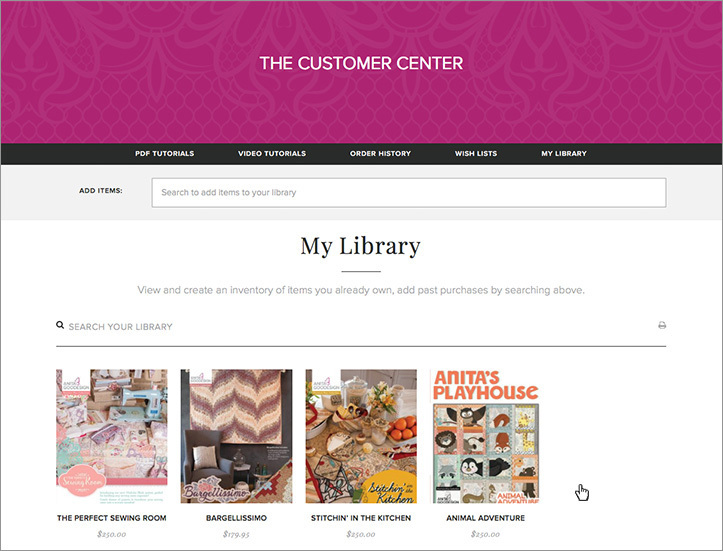 You can now easily keep track of each collection you own by following the step-by-step guide below to add each design collection to your personal library. 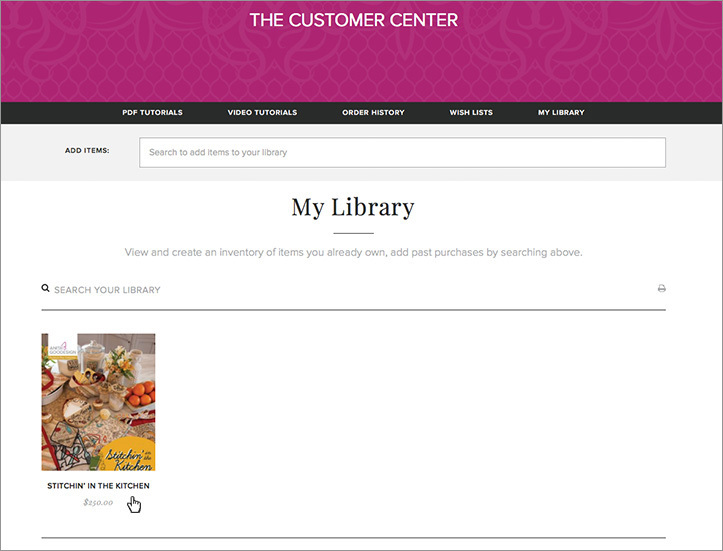 Even better – your personal library can be accessed by computer or mobile device! 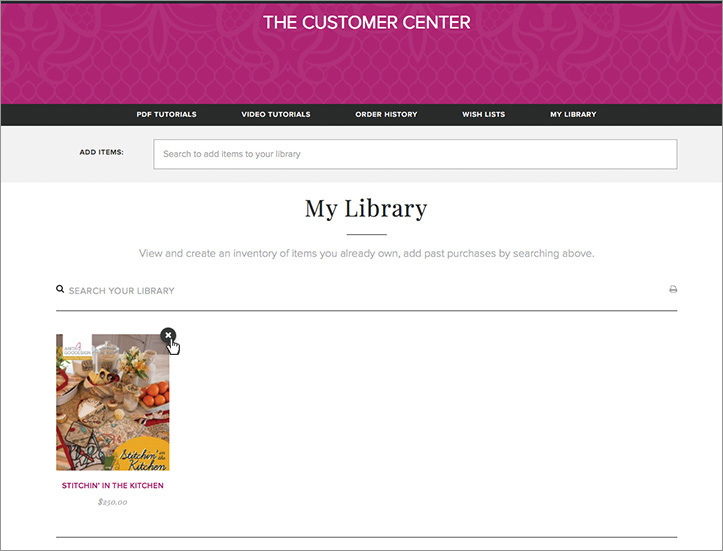 If you add a collection that you already own, it will not be automatically downloaded to your library; you will have to purchase the product off the the website it you would like to download it. 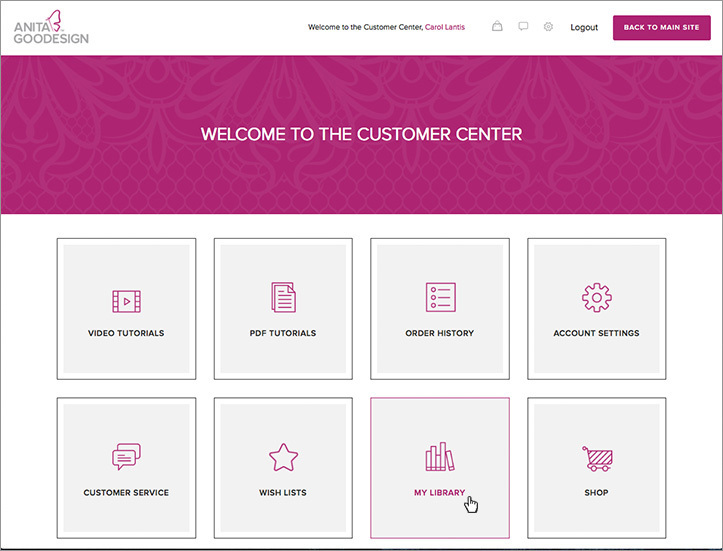 When you log in with a registered account, you’ll see the Customer Center dashboard. Click the ‘My Library’ box. 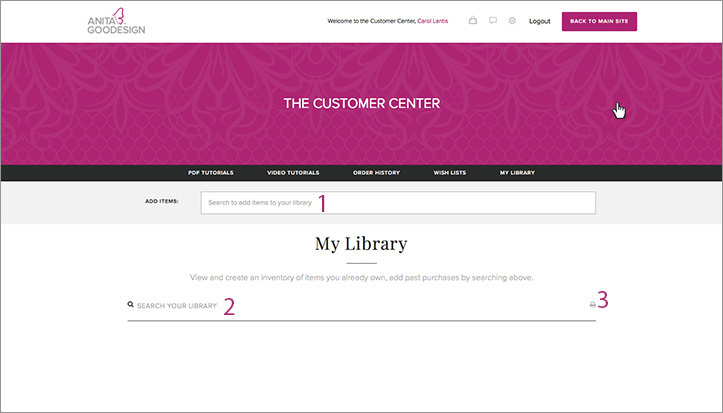 How do you add an item to your library? Using the ‘Add Items’ search bar, simply start to type in the name of the collection, in this case, Stitchin’ in the Kitchen. 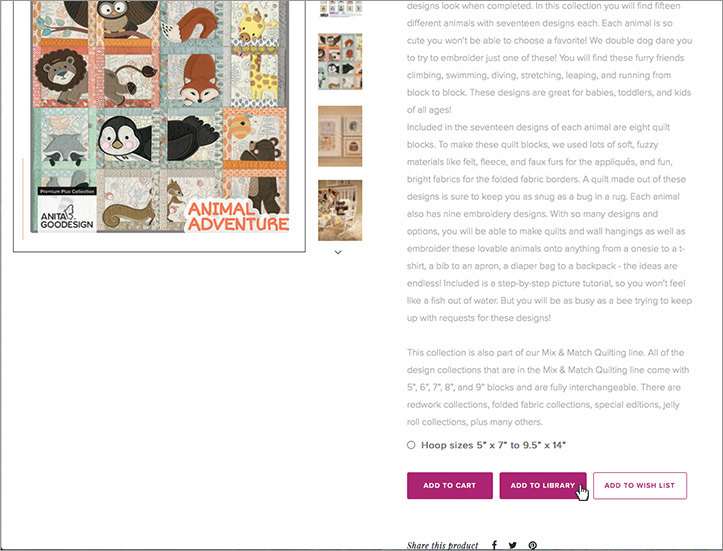 You’ll see that only the word “Stitchin” has been typed and already the site has found it. 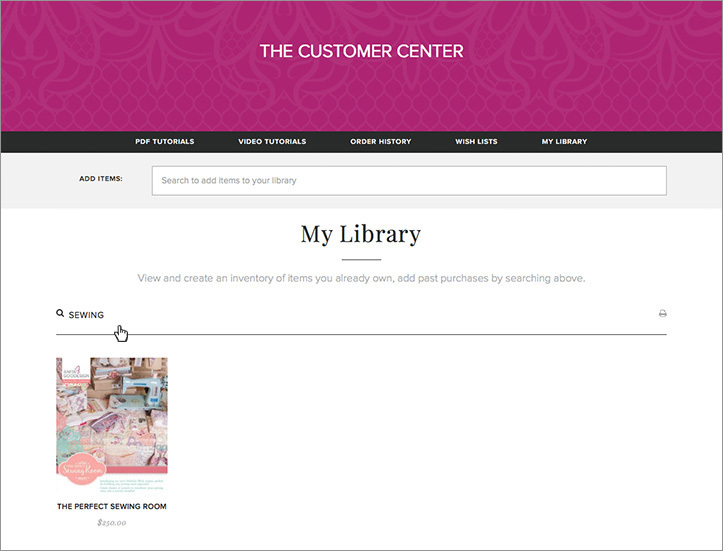 When you hover over the picture of the collection, you’ll see that it turns pink and a + sign appears. Click on the collection. You’ll see that the product has been added! When you hover your mouse over the collection, an X will appear, giving you the option to remove any collections from your Library. 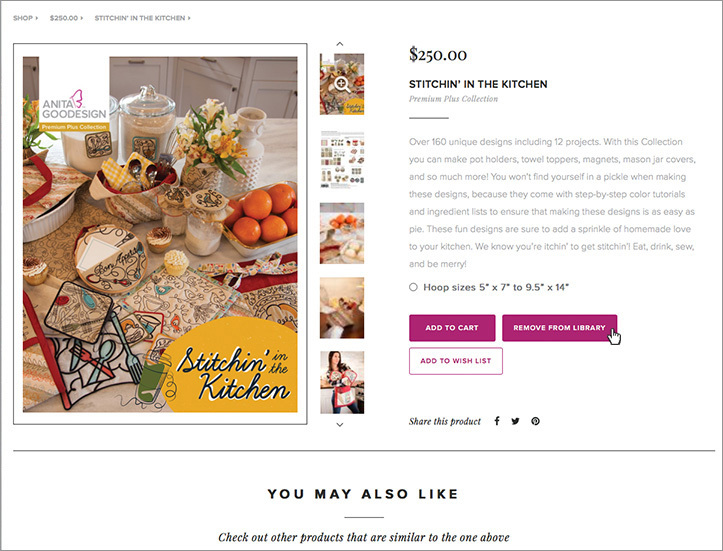 Clicking on the collection will take you to that product’s page. 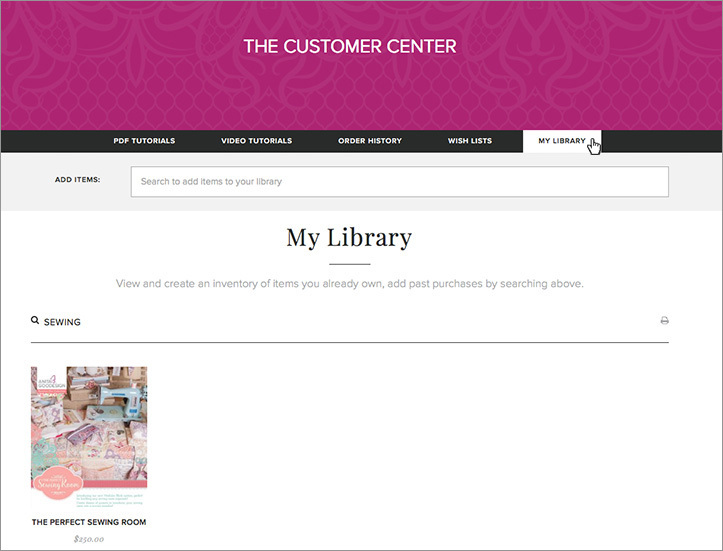 On the product page, you’ll see at the bottom that there’s an option to remove the item from your Library. 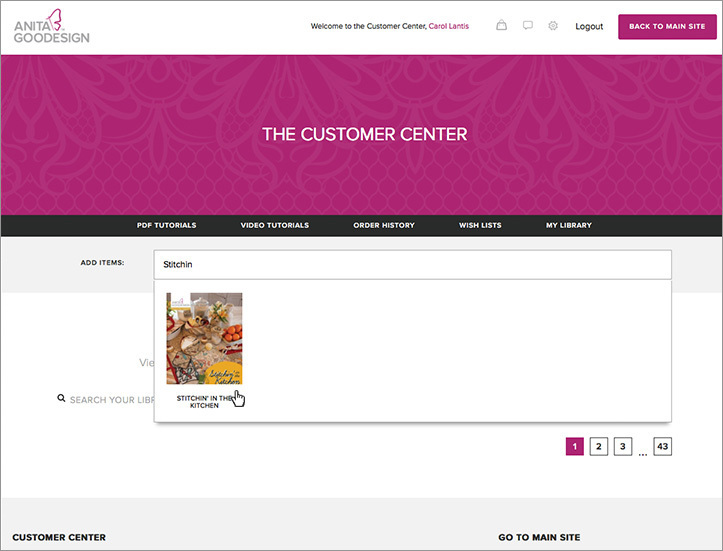 Similarly, if you come across a product page as your shopping and you want to add it to your library, click the button that says ‘Add to Library.’ You must be logged in to utilize this feature. Here you’ll see that a few more collections have been added to this library. You are able to search by typing the name of the collection into the search bar. 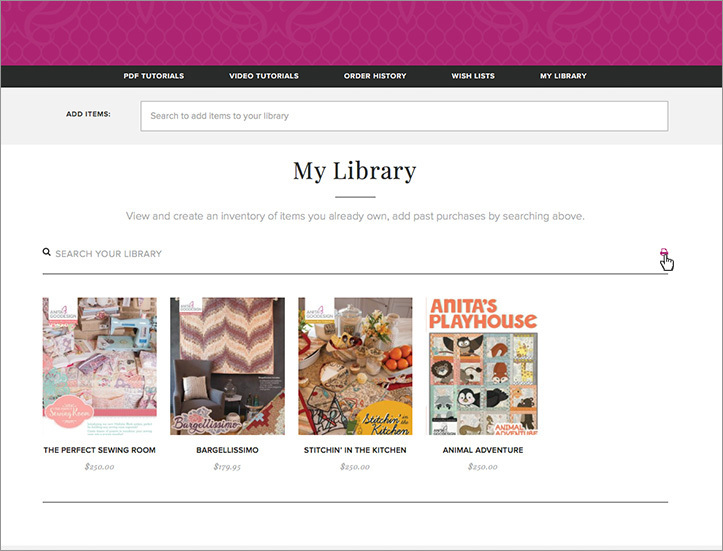 To view your entire Library again, just click ‘My Library’ along the top search bar. Now, if I’m getting ready to go to an Embroidery Party, I can actually print my list to take with me, by clicking this icon. That way, I don’t accidentally purchase something I already own! Have fun building your Library! If you’d like to learn all about our Wish List feature, check out this guide.